CHICAGO -- Grocery and convenience stores are posing mounting competition to restaurants, with an influx in prepared foods, grab-and-go meals and fast casual restaurants within the retail stores themselves. And a number of operators are fighting back against those blurred lines by creating some restaurant-retail mashups of their own. 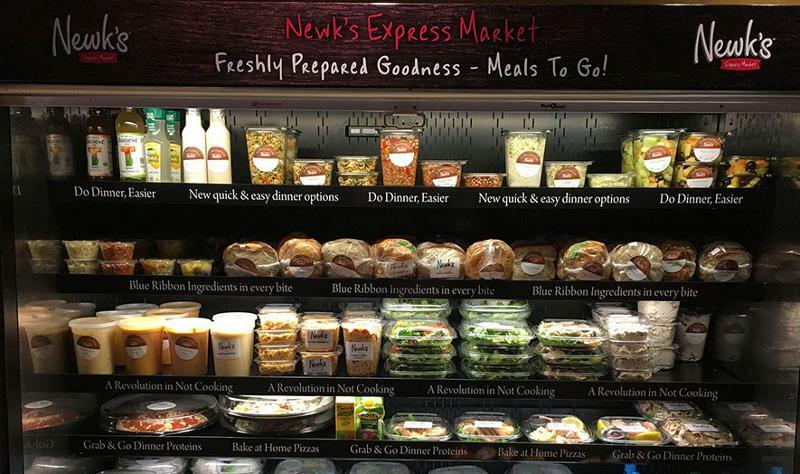 Fast casual Newk’s Eatery, the sandwich, salad and pizza chain founded by the team that created McAlister’s Deli, has rolled out its Express Market concept at 49 units—and plans to transform the existing grab-and-go coolers at all of its more than 120 units in coming months to the updated retail space. The grab-and-go area, which has a separate cashier, includes prepared proteins such as broiled shrimp, sliced chicken and flash-seared ahi tuna. There are also family-sized containers of soup and items such as a pimento cheese ball, once only offered in catering packages. In the first quarter of 2019, the chain will test grab-and-go snack boxes, Spohnholz said. Sweetgreen, a fast-casual salad chain based in Washington, D.C., recently transformed a shuttered unit into a year-round farmers’ market of sorts. The Tavern sells produce from farmers that supply Sweetgreen restaurants, as well as Parmesan crisps and local cheeses that are cross-utilized on the chain’s menu. The mini market also sells frozen yogurt, a customer favorite that Sweetgreen shelved several years ago. The Tavern is also slated to become a pickup location for online orders placed at one of the chain’s nearby units. 3. Real Good Stuff Co. 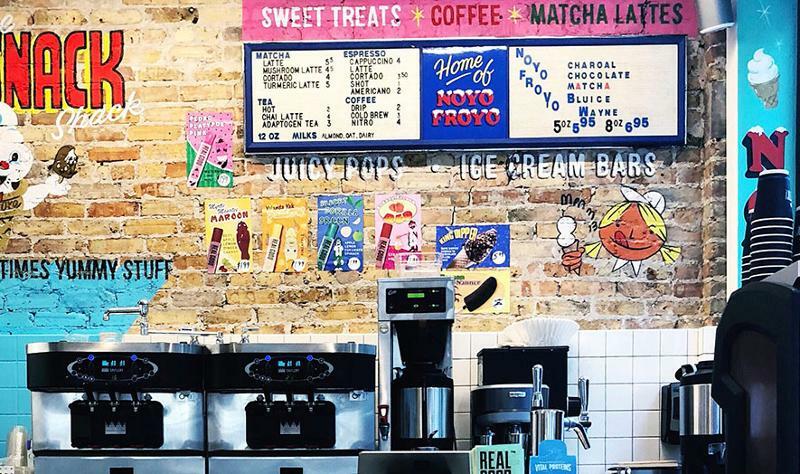 The Chicago-based smoothie and juice chain formerly known as Real Good Juice Co. has rebranded to Real Good Stuff Co. to reflect its expanded service model, which now includes a corner store concept. Earlier this month, the company opened Real Good River North, a 1,500-square-foot market space that’s like a mini food hall-plus-convenience store. The location includes a smoothie bar, a hot foods counter with customizable bowls and a sweets corner with nondairy soft serve and locally produced pastries. 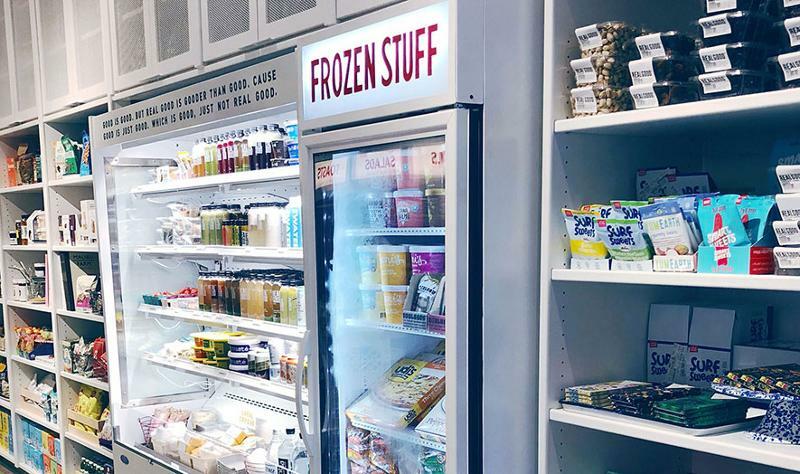 The grab-and-go area features retail versions of some of the menu ingredients, such as small chunks of local cheese and produce from area farmers. 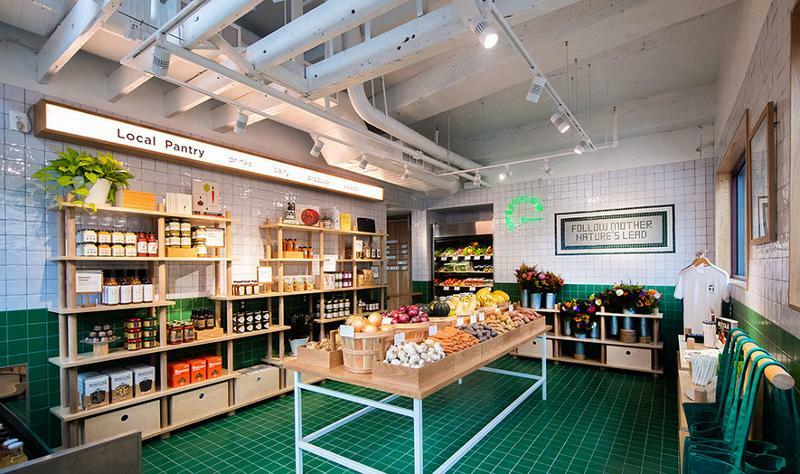 There’s also a wide selection of high-end, health-focused snacks, juices and condiments. Real Good Stuff Co. plans to open four more of the corner store concepts in the coming year and is in the process of closing out a financing round, Schiff said.